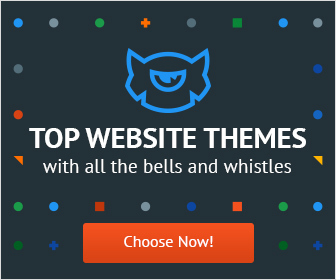 Choose your website hosting platform according to your needs. 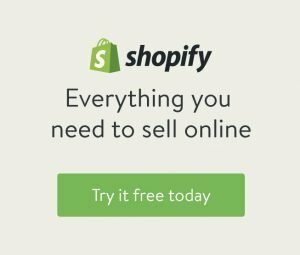 Select Siteground hosting as a reliable host for websites. Whatever the reason may be that you want to set up a website and show it to the world, it all starts with choosing a decent website hosting platform. There is an oversupply on web hosting companies to select from, all with their pro`s and cons. 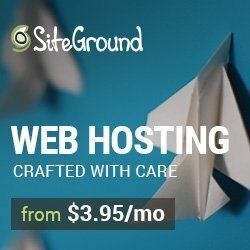 Siteground has been around for 14 years now and with more than 1.5 million domains in their portfolio has proven to be a reliable website host. Siteground offers shared hosting, cloud hosting, and dedicated server hosting, with data centers on 3 continents and in 4 countries: The United States, Singapore, the Netherlands and the United Kingdom. According to where your main target public is residing, you can choose your main host to be in one country or another. Website speed and stability largely depend on where your site infrastructure is located. But of course, your site will be accessible all over the world, as Siteground makes sure all website data is replicated over their data centers. In order to establish this NGINX comes into the picture; basically, this is a Linux based web server which speeds up the loading of static content of websites by acting as a reverse proxy. Dynamic content is optimized by using SuperCacher, a mechanism which has been developed in-house for common applications as WordPress, Joomla, and Drupal. Optionally you also can opt-in to apply Cloudflare CDN (Content Delivery Network) to increase your website speed and stability across the world. CDN caches your website content and replicates this over their data centers. Siteground offers this as a free add-on to your hosting plan, but it needs a separate activation. Siteground invests heavily in their network infrastructure and makes use of fast hardware. All files and databases in their shared and cloud hosting plans make use of SSD (Solid State Drives). This results in a remarkable uptime of 99.9%. What about the safety aspect? All Siteground hosting plans come with an automated daily backup. So when anything goes wrong, your site can easily get restored to a recent status. In case you need a custom backup solution, that is also possible at an extra fee. Brute-force attacks by botnets are blocked before they can do any harm to your website. According to Siteground their own Artificial Intelligence solution currently stops more than 500.000 brute-force attempts on all servers per hour. Unauthorized security breaches to your site are largely ruled out this way. And when hosting your site on shared servers, there is no need to worry about other Siteground customers being able to access your data. By applying CHRoot account isolation, you can rest assured your data is there for your eyes only. In short, CHRoot changes the root directory, so a program cannot name or access files outside its designated directory tree. Whether someone wants to start a small development project or a high-traffic site, cloud hosting solutions are meant for enterprises who want an ultra-fast and highly scalable hosting plan. Siteground offers 4 cloud hosting plans: Entry, Business, Business Plus and Super Power. The pricing differences lie in the amounts of CPUs, memory allocation and storage needed. For those who want to run their websites on dedicated machines, there are 3 plans to choose from at Siteground: Entry Server, Power Server, and Super Power Server. High-class Intel Xeon machines with different configurations are continuously monitored by skilled experts. These dedicated server hosting plans come with premium services, allowing for all the functionality needed, including a boosting server performance. Whatever plan you choose, the most popular website applications are supported on Siteground: WordPress, Joomla, Drupal, Magento, PrestaShop, and others. Most of these applications come with a 1-Click Installation procedure, Site Transfer Assistance, and Auto-updates to the latest core versions. And finally, some words of praise for Siteground`s fast support facilities. Their support staff is reachable 24h/7d via a ticketing system, chat, and phone. Response times are quick and to the point. Moreover, once logged in to your account, you will an extended knowledge base ranging from setup wizards to application specific tutorials and webinars. Need a hosting provider for Australia? Read our article here.